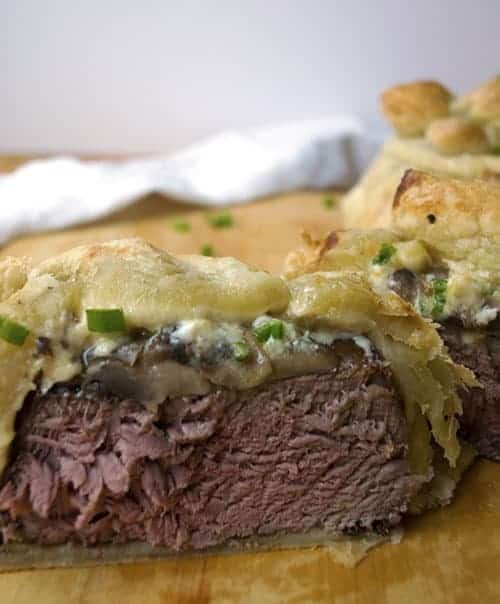 Beef Wellington Bundles are a treat for any special occasion. I love that they look like little presents! Everybody gets their own bundle of deliciousness. I have made these for Nolan’s birthday, and this year I am making them for Christmas dinner. Inside there is a savory mushroom sauce and salty blue cheese crumbles. Oh! And a filet of course! If you have never put blue cheese on your filet before, you are seriously missing out on the best flavor in the world. I am not even a big fan of blue cheese, but I am obsessed with this combo. 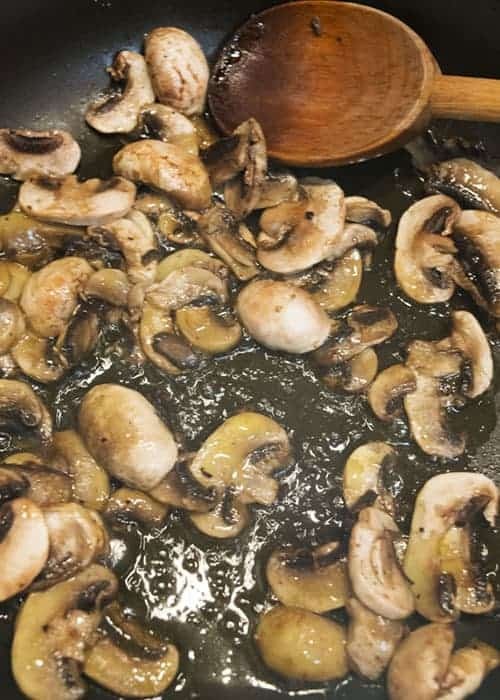 Saute the mushrooms, then add some seasoning and flour. Pour in the wine then the broth. Stir for around 15 minute until the sauce thickens. Let the sauce cool before assembling the bundles. Then bake at 400 degrees for around 20 minute to start. Check the dough, and if it needs longer cook for another 5-10 minutes. The dough should be golden, flaky, and buttery. Yum. 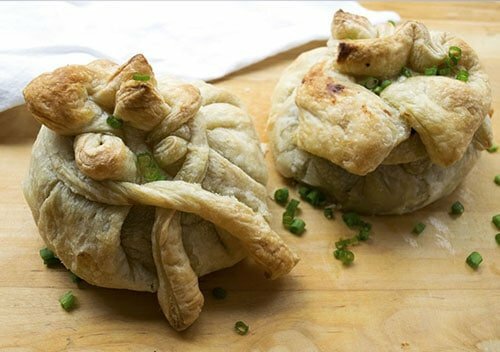 Beef Wellington Bundles are a special treat for any special occasion dinner. Everybody gets their own personal bundle of deliciousness. I love these bundles for birthday dinner recipes, Christmas dinner recipes, or New Year’s dinner recipes! 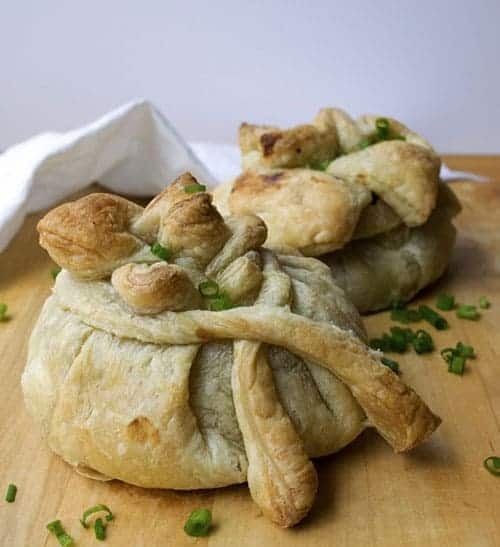 Take the puff pastry put of the freezer to thaw. In a medium size skillet heat up 2 Tablespoons of butter and 2 Tablespoons of olive oil over medium high for the steaks. Pat the steaks dry with a paper towel, and rub 1 1/2 teaspoons of salt all over them. Once the pan is hot, sear the steaks for around 5-6 minutes on each side (I like my steak medium rare, but cook them longer if you like a more well done steak). 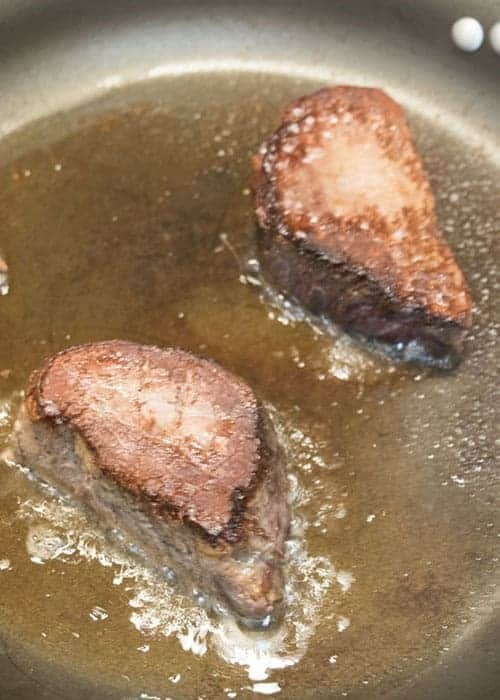 Take the steaks out of the pan and let them rest while you make the mushroom sauce. If there are not burnt pieces of steak in the skillet where you cooked the filet, feel free to cook the mushroom sauce in that same skillet. Otherwise in a separate skillet heat up 2 Tablespoons of olive oil. Add the sliced mushrooms and stir for 2 minutes. 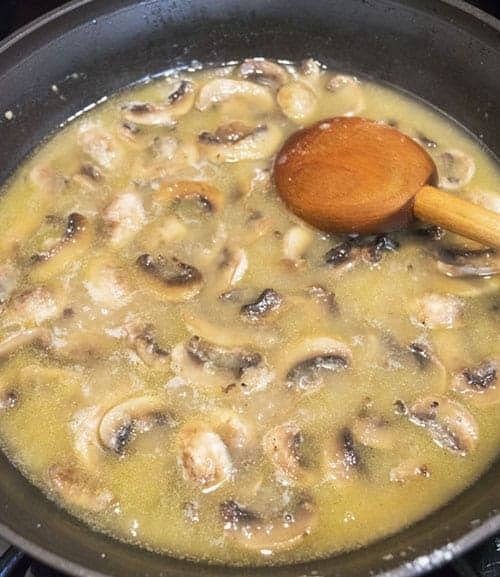 Throw in the salt, pepper, and flour to the mushrooms add stir for 2 more minutes. Once the flour has absorbed all of the oil pour in the wine. Cook the wine down for 1 minute. Add the broth and bring to a simmer. Simmer for 15 minutes stirring occasionally until thickened. Turn off the heat and let the sauce cool. While the mushroom sauce cools, set up the assembly of the bundles. Make sure the puff pastry has thawed. 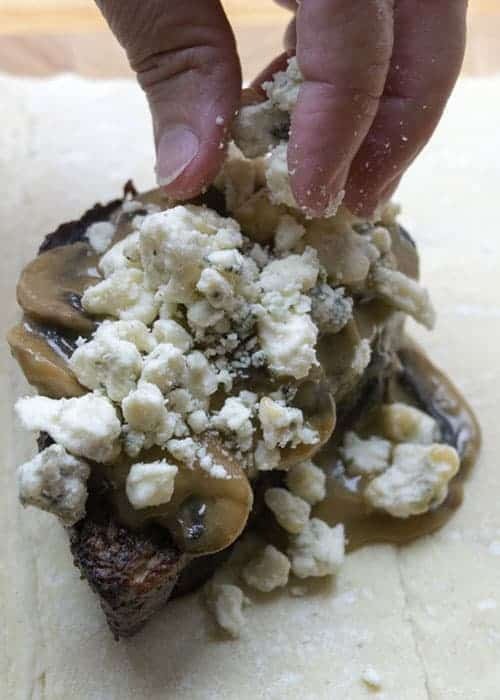 Get the blue cheese crumbles out. 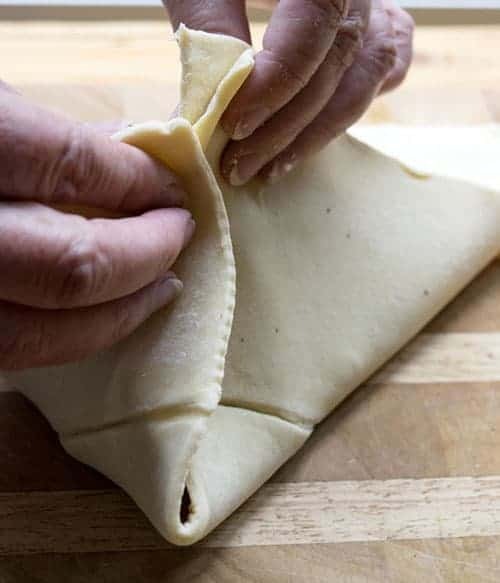 To assemble roll out the puff pastry. Use a rolling pin to stretch it out. Cut one 1/2″ thick strip from the side of the pastry sheet (for the “ribbon” around the bundle). 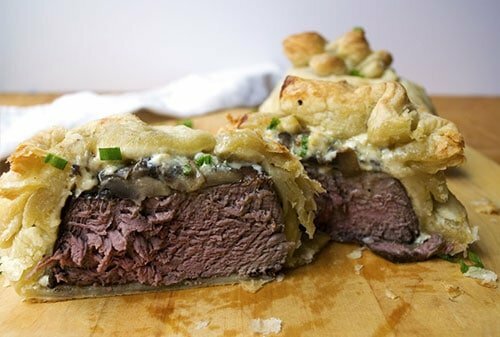 Then place the filet in the middle of the pastry first. Then pour 1/4-1/2 cup of the mushroom sauce on top of the filet. Crumble 1 Tablespoon of blue cheese on top of the sauce. 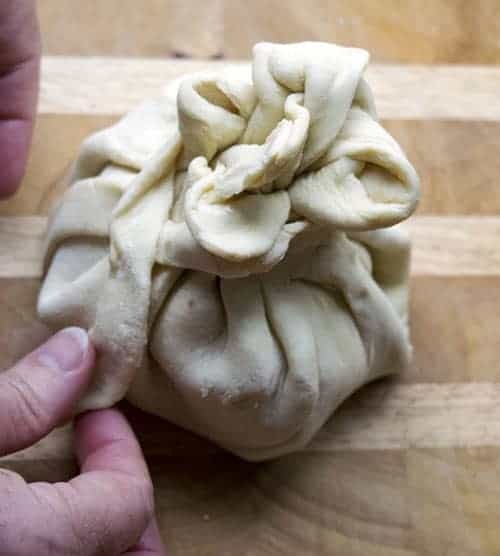 Bring each corner of the pastry together at the top and twist the dough to create a “Bundle”. 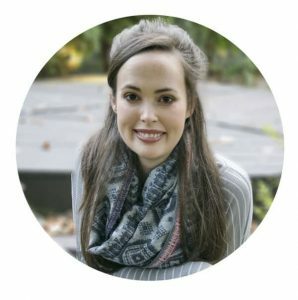 Wrap the strip around the bundle as a “ribbon” around the “bundle”. Bake for 20 minutes. Check the dough, and if needed cook for 5-10 more minutes.